Now in its 136th year, the NorSCA Business and Awards Dinner is one of the highlights of our social calendar. 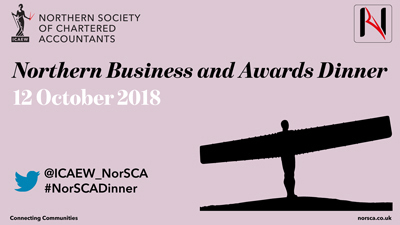 Giving members a great chance to connect with colleagues and peers, entertain staff and clients, and recognise the work of our students, it’s no wonder that the annual event attracts guest from across the region to Newcastle upon Tyne for the night. 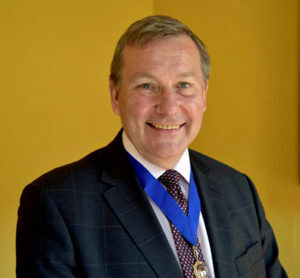 NorSCA President, Alan Johnston, welcomed members and guests to the Civic Centre’s Banqueting Suite and talked about the chosen charity for the night; Hospice at Home Carlisle & North Lakeland, which provides high quality care and support for adults who need palliative and end of life care, and their carers and families. ICAEW President, Paul Aplin was one of the evening’s guest speakers. He reflected on the challenges currently facing the profession, before highlighting the sense of optimism he’d felt earlier in the day when meeting students from the Newcastle University Business School, who he described as “the future of our profession”. “building a world of strong economies and changing lives is more than just a strap line, it’s what we do, and by so doing we build a future of the profession that we can be proud of”. 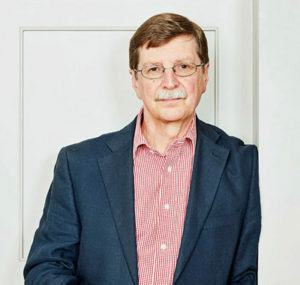 Paul, who at the start of his Presidency, also highlighted his desire to champion the benefits of technology talked about the role that digital will play in the future, citing the time he’d spent with North-Shields based BluSky that afternoon, he mentioned their almost entirely paperless set up and the fact in their entire office, the space taken up by paper files was a cupboard roughly the size of the lectern he was currently using. Another priority that Paul had talked about when he became president was access to the profession and his desire to challenge the idea that it’s not open to everyone. He discussed his own background and the fact that he failed his 11+ exam, but had still gone on to become an accountant. 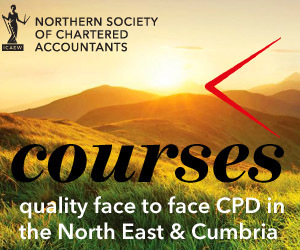 Expanding on this theme he explained how the work of the ICAEW Foundation helps aspiring accountants around the world achieve their professional ambitions. Summing up his speech, Paul said “building a world of strong economies and changing lives is more than just a strap line, it’s what we do, and by so doing we build a future of the profession that we can be proud of”. As the evening drew to a close, NorSCA President Alan Johnston introduced keynote speaker, former Home Secretary the Rt. Hon. 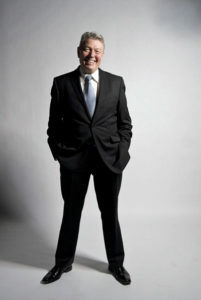 Alan Johnson. Embracing the idea of an abundance of Alans, the former MP joked about the fact that the evening had turned into an Alan Johns(t)on convention. He shared a number of anecdotes about his time in politics. Sharing a story about the confusion that can arise from having too many (near) namesakes, he recalled the time that a guest spot on a radio current affairs programme by British journalist Alan Johnston had resulted in a series of panicked phone calls from government staff, who thought that the then MP was poised to do an unscheduled interview. Subjects including the economic crisis, Brexit and the future of the Labour Party were also touched upon in his informative and entertaining speech. Taking questions from the floor, Alan also talked about sharing a TV sofa with Michael Portillo on TV’s This Week, his proudest political moments and his writing career. As always, the evening rewarded the hard work of our students, with Paul Aplin and Alan Johnston presenting prizes to the region’s top performing ICAEW students. Ross Jackson of Armstrong Watson, who won the Advanced Stage Presidents’ Award. The judging panel highlighted Benjamin’s work with the community paramedic unit and his support of their purchase of vital equipment; his work with a social mobility fund helping low-income A-Level students, and his use of his skills at a local NHS GP Surgery. Ross was recognised for his mentoring of trainees, commercial and management skills and his sporting talent and teamwork. Jenifer Armstrong (EY) who won the Advanced Stage Award. The evening raised over £1,800 for Hospice at Home Carlisle & North Lakeland (Hospice at Home).